​THIS FUNCTION IS NOT YET AVAILABLE. 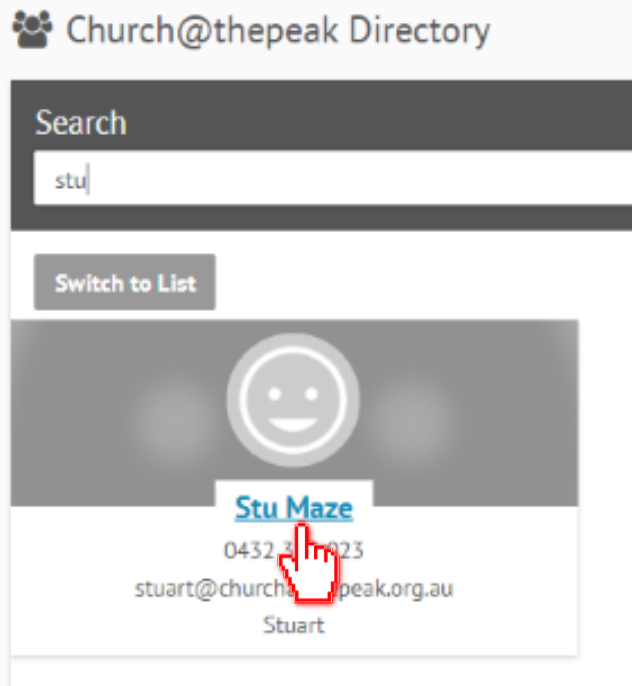 Select the Member Directory in the menu along the top of the page after you log in to the database. All the people in the directory will appear. To search for someone, simply type a few letters of their name. To view their full contact details, click on the blue name.